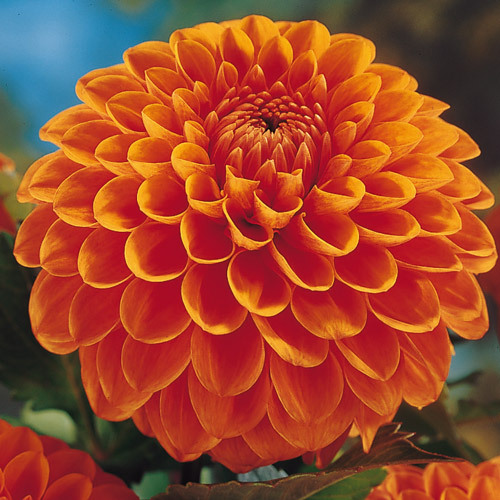 This "true" ball Dahlias were developed by hybridizer, H.A. Van Eeuwijk. This new cultivars produce very large flowers, are very uniform in height, flower shape and, as a special feature, have strong, thick stems. They make superior cut flowers, lasting up to 5 days when freshly cut. 5" single, ball shaped flower without central disc.